“There has been insufficient evidence produced to justify a halt in further work on permanent licensing of Level 1 (large grow) cultivators,” Frye wrote in his 24-page decision. 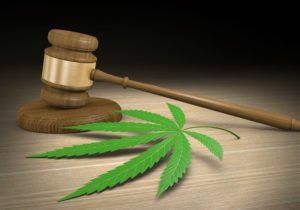 A similar, separate lawsuit by five other cultivator hopefuls was dismissed because those companies hadn’t yet gone through the state administrative appeal process, according to the Cleveland Plain-Dealer. Growers have been issued provisional licenses but need to pass full inspections to receive permanent licenses to begin operations. Last week, state regulators issued an additional cultivation license in recognition of an application scoring error. There are now 25 provisional licenses, 13 in the large-grow category. Tom Haren, an attorney for Frantz Ward in Cleveland, said at the recent MJBizConNEXT in New Orleans that Frye’s ruling would be important for an Ohio industry trying to meet the September deadline to be up and running. “Cultivators will be ready to go, but I’m not sure the supply chain will be until the first quarter of 2019,” Haren said.